Inspired by a thriving demographic in Vancouver, Mobiel is a multifunctional cart designed to support the day-to-day needs of commercial urban farmers – people who grow food on a medium to large scale on urban land to sell it to markets, restaurants and other businesses. Beginning with the basic features of a wheelbarrow, this cart has the added benefit of organized tool storage, and it can be easily attached onto the back of a bicycle to carry goods from the farm to the market or from one plot to another. Mobiel carries on the narrative of city farming through its unique functionality and its distinctive character. Inspired by a thriving demographic in Vancouver, Mobiel is a multifunctional cart designed to support the day-to-day needs of commercial urban farmers - people who grow food on a medium to large scale on urban land to sell it to markets, restaurants and other businesses. 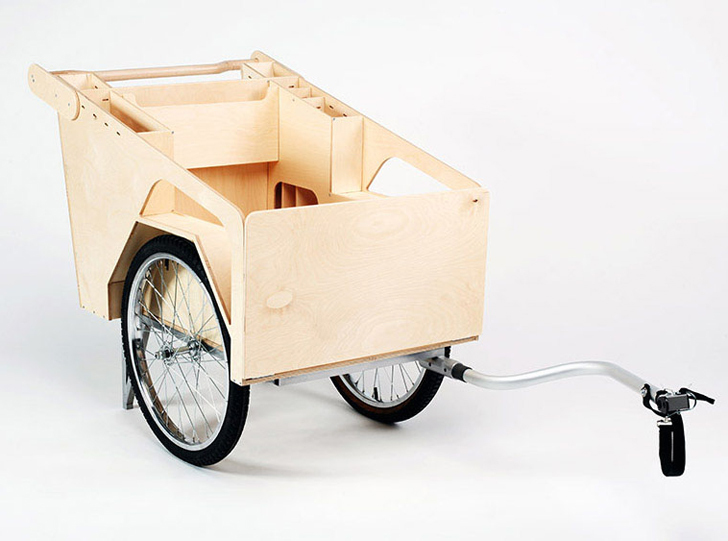 Beginning with the basic features of a wheelbarrow, this cart has the added benefit of organized tool storage, and it can be easily attached onto the back of a bicycle to carry goods from the farm to the market or from one plot to another. Mobiel carries on the narrative of city farming through its unique functionality and its distinctive character.